This archetype is one of my favorites because it’s just so much fun to look at (and wear)! Edgy looks are usually very high fashion – the types of clothing that you typically see in fashion magazine editorials. Leather, spikes, sharp cuts & edges, fitted, black & white neutrals – got the picture? These looks can be rock-ish, but are really a bit more…well…edgy! 😉 An edgy look is probably harder to pull off on a daily basis, but you can definitely have fun with from time to time! 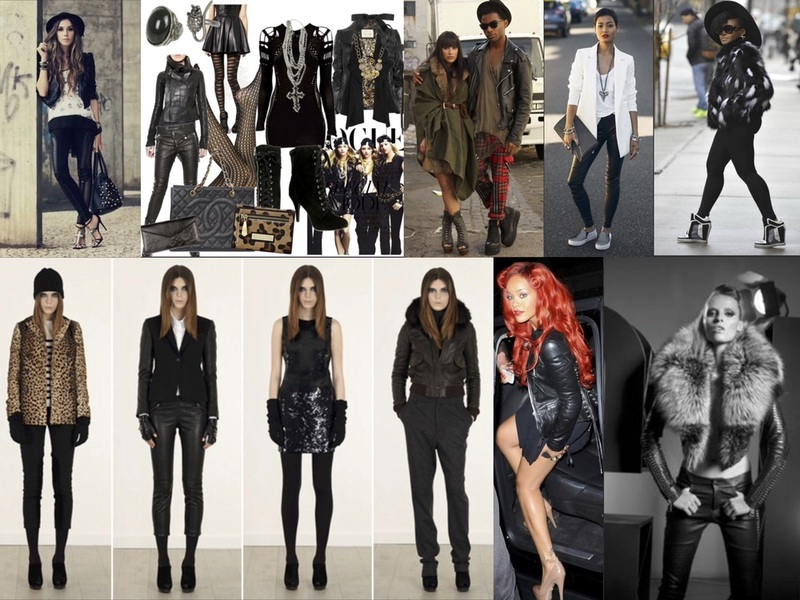 Style icons who personify this archetype include Rihanna (I think she’s the #1 style icon in this category hands down! ), Kristen Stewart, and Angelina Jolie in her earlier years. Fashion designers/houses & brands that best represent this style category are Tom Ford, Balmain, Alexander McQueen, Rick Owens, Ann Demeulemeester, Altuzarra…the list goes on and on! Even a couple of more ‘classic’ fashion houses such as Givenchy and Yves Saint Laurent also dab in edgy looks quite often and it always works! 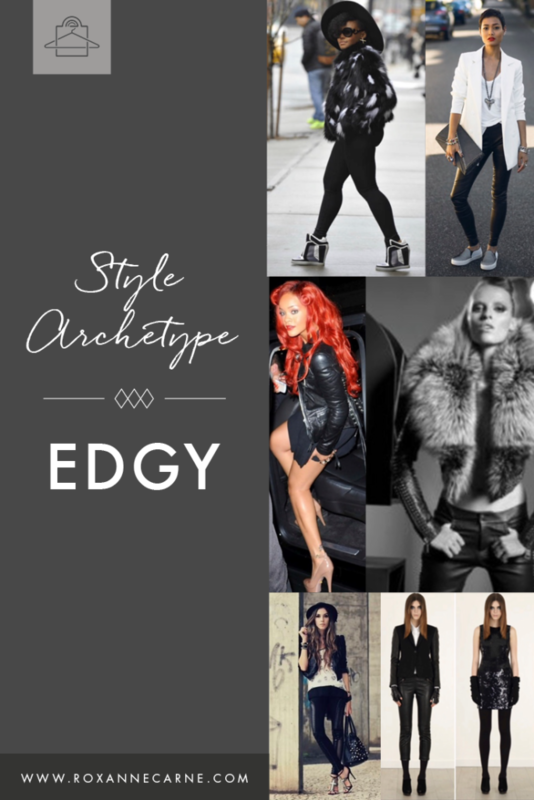 Here’s a mood board of images that reflect the ‘Edgy’ Style Archetype. Do you play in this style space? Feel free to comment below! As a Personal Stylist, I love sharing options of clothing that you can buy now! 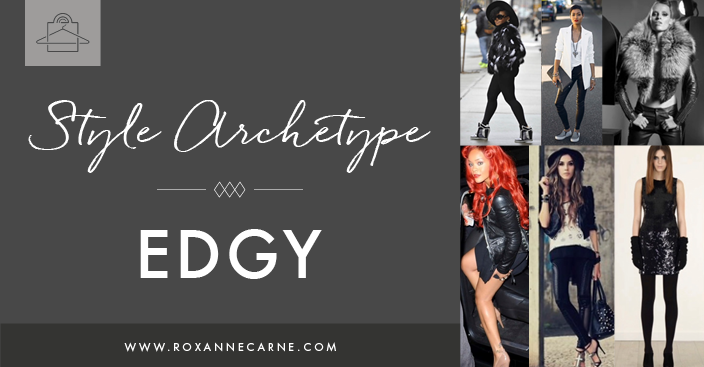 If these edgy looks fit your personal style archetype, you may want to check my curated recommendations below. You'll find hot pieces from top designers and brands including Louboutin, Rick Owens, Rag & Bone, and more! Which item will make it into your closet? Comment below! Want the details of other major style archetypes? Check out my blog posts on Street, Classic, Minimalist, Eclectic, and Bohemian archetypes. Enjoy!